Car aficionados, manufacturing revivalists, and resource-pinchers rejoice. 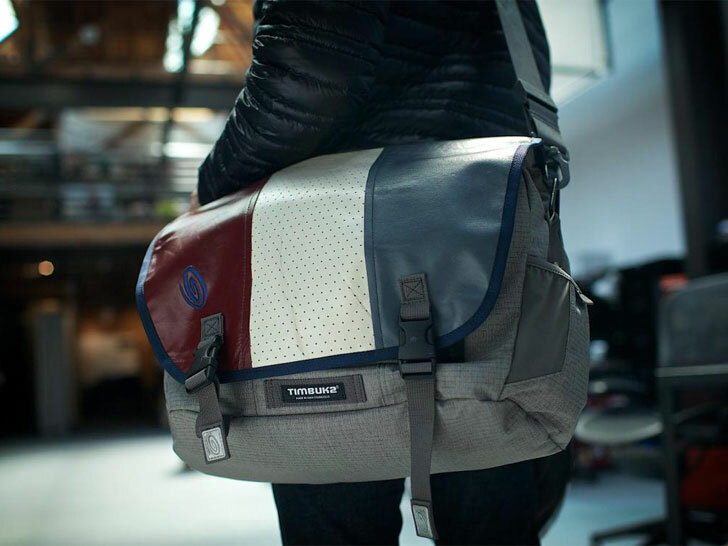 Timbuk2 and R3DNA have linked arms to launch a line of reclaimed-leather products derived from the car seats of condemned luxury vehicles abandoned in salvage yards across the Bay Area. Manufactured to order in Timbuk2's San Francisco factory, the collection includes a Transportation Security Administration–compliant laptop messenger bag, a "Swig" laptop backpack, and padded iPad and laptop envelope sleeves. R3DNA, like Timbuk2, is also based in San Francisco, where it operates a materials-recovery program that diverts a ton of leather and foam from landfills each month. “Our crew hand-selects only the finest aged and experienced leather from top auto manufacturers, including Cadillac, Mercedes Benz, Lincoln, BMW, Jaguar, and many more,” says Aaron Parrish, who founded the firm with Tim Bogan in 2012. SF-based R3DNA operates a materials-recovery program that diverts a ton of leather and foam from landfills each month. Parrish and Bogan are accepting preorders of the bags, in your choice of colors, on Kickstarter, where they’re also raising funds to hire more crew members. “When we achieve our funding goal, we’ll be able to divert more than three tons a month, and that’s just the beginning,” Parrish says. R3DNA, like Timbuk2, is also based in San Francisco, where it operates a materials-recovery program that diverts a ton of leather and foam from landfills each month. "Our crew hand-selects only the finest aged and experienced leather from top auto manufacturers, including Cadillac, Mercedes Benz, Lincoln, BMW, Jaguar, and many more," says Aaron Parrish, who founded the firm with Tim Bogan in 2012. R3DNA preps, cleans, conditions, and hand-cuts the material at its East Bay location before handing it off to Timbuk2. Parrish and Bogan are accepting preorders of the bags, in your choice of colors, on Kickstarter, where they're also raising funds to hire more crew members. "When we achieve our funding goal, we'll be able to divert more than three tons a month, and that's just the beginning," Parrish says.